People have a lot of questions about plastics and recycling. Here’s what you need to know. Don’t worry about the numbers. That’s right! The numbers don’t mean anything to you as the consumer. The numbers only mark what type of plastic the object is made of, not whether it is recyclable. Our recyclables are sorted at a Materials Recovery Facility (MRF) and they can only process plastic bottles and containers. If you’re wondering whether a plastic item is recyclable, ask this question: is it a bottle or container that’s in the accepted size range? To aid you with that, we’ve made the handy chart at the end of this post! Plastic bags contaminating a bale of paper. When it comes to recycling plastics, size and shape matters. Anything smaller than 3 inches in both height and diameter is too small to be processed. A good rule of thumb is: make a circle with your middle finger and thumb; if the item fits through that, it’s too small to be recycled. 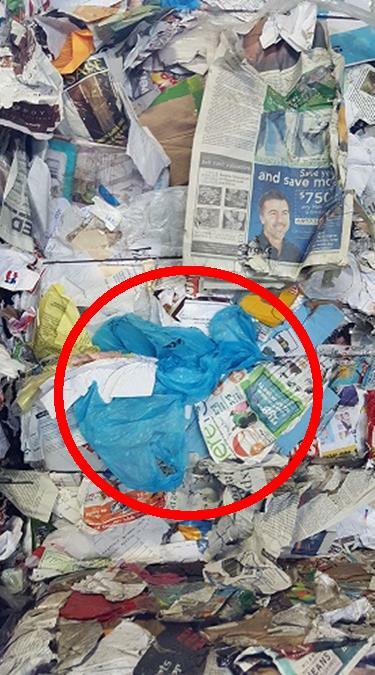 If small items make it to the MRF, they’re either going to fall through the lines and end up in their trash or get sorted improperly in a bale and become contamination like the plastic bags mixed up with paper pictured on the right. This is why it is so important to put lids back on the plastic container rather than recycling them separately. Anything larger than 5 gallons is over-sized for the sorting facility and won’t fit through the machinery. But that doesn’t mean you have to throw it away. You can donate items like intact plastic toys or laundry baskets to second-hand stores. Even if it’s not reusable to you, it might be to someone else or the store might be able to make use of it. The cardboard is recyclable but the plastic is not. Never put plastic bags in your Blue Bin! They clog up the machinery and can cost the MRF up to 5 hours a day to manually cut out of the gears. Or if they do make it through, they contaminate paper bales like the one pictured above. Bales that are visibly contaminated have a high likelihood of being rejected by the material buyer and landfilled. Check out this post for more on the impacts of plastic bags. It’s also important to never bag up your recycling–it will get pulled off the line and sent to the landfill! Plastic packaging like this is not recyclable because it’s not a bottle or container. Styrofoam is also a definite no. Styrofoam is not recyclable in your Blue Bin period, regardless of whether it’s a container. See our database for places that will accept shipping foam. 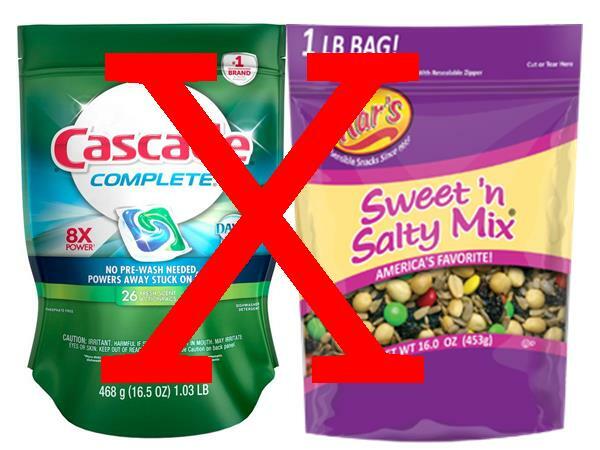 Click here for more info on plastic film recycling. I have been putting plastic straws in plastic water bottles. will that help to recycle the plastic straws? and are vitamin bottles recyclable? That’s very creative! Unfortunately, the plastic straw is made of a plastic that’s not recyclable to begin with so putting them inside a plastic container will just contaminate the recycling. I asked a couple of years ago if pill bottle were recyclable and was told yes. Has something changed or did I receive incorrect information at the time? Is “type 6” plastic now recyclable? I thought I had read something suggesting that SOLO cups (usually made form the same material) were now recyclable. If so, is other “type 6” plastic like this recyclable, like, say, the plastic trays that hold Girl Scout cookies? 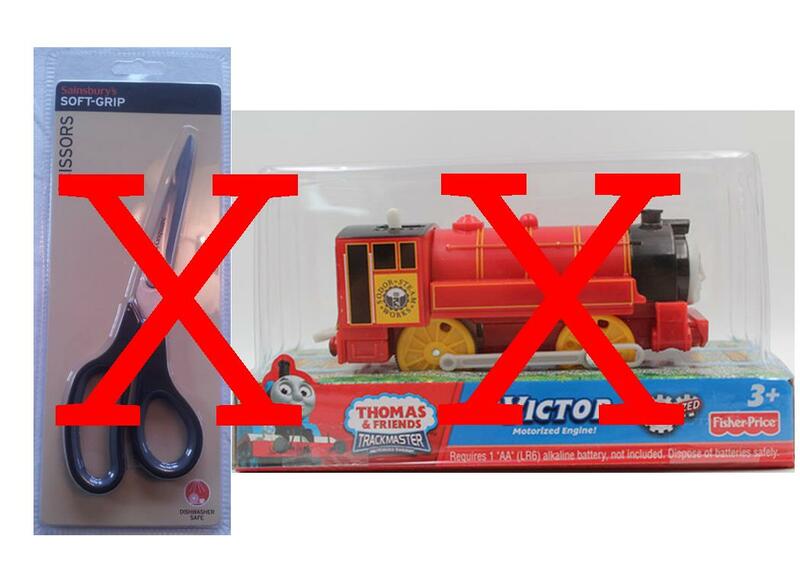 It’s not that type 6 is recyclable, it’s that the numbers don’t tell you whether an item is recyclable. What is important is whether the plastic item is a bottle or a container. A plastic cookie tray is not recyclable, regardless of the number, because it is not a container (it’s a liner). 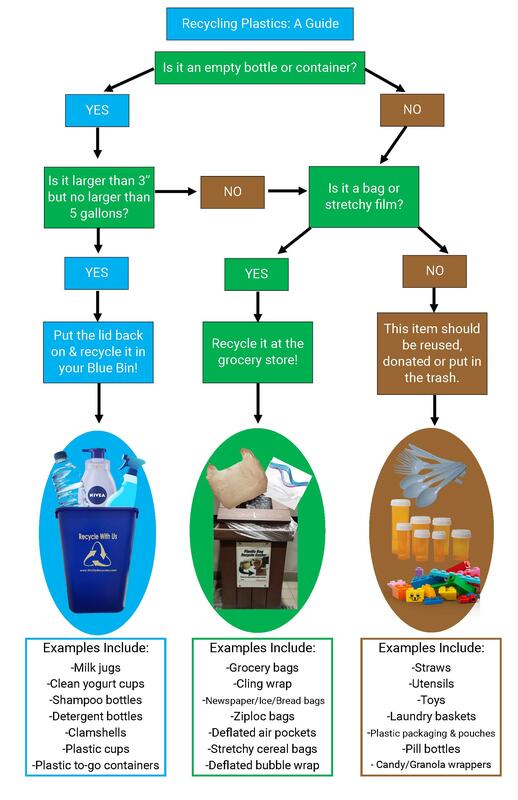 ← Take Recycling to the Next Level: Precycle!